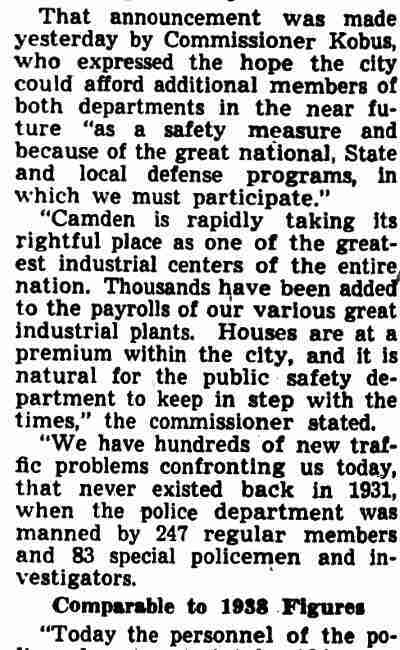 OTTO V. KAISER was born in Camden, New Jersey on February 2, 1913 to Marie and Charles G. Kaiser. His parents both came to America as children, Marie from Norway, Charles from Switzerland, and wed around 1903. 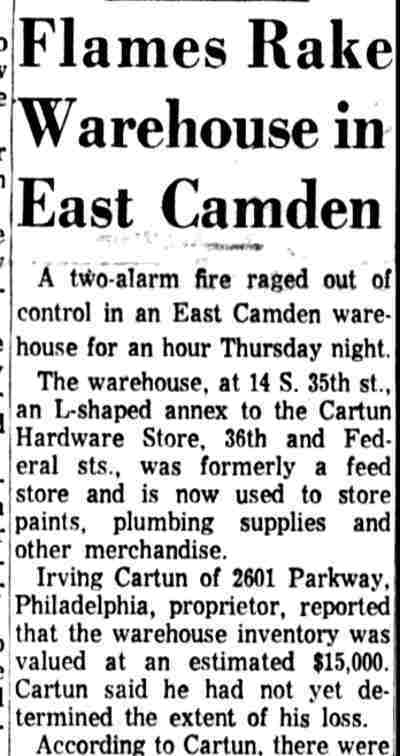 By 1910 and well into the 1920s they were living at 904 North 26th Street in Camden's Cramer Hill section. 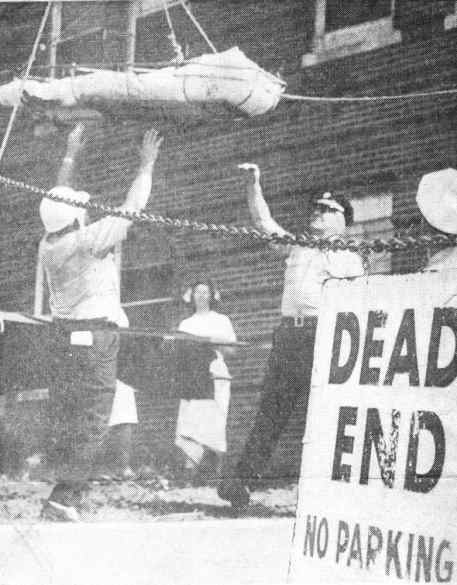 Charles Kaiser worked in Camden's shipyards to support his family. 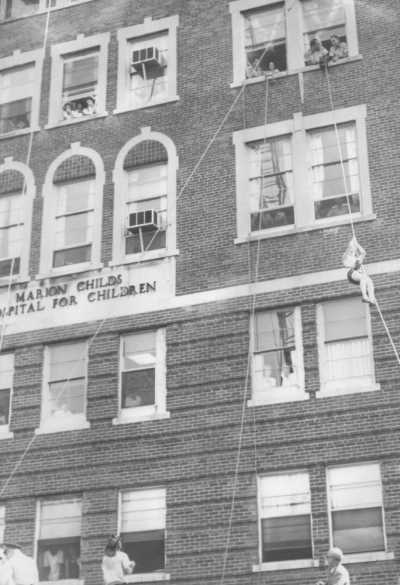 Otto Kaiser was one of at least seven children, born after older siblings Charles S., Roy, Elsie, and John, while coming before little sisters Margaret and Elizabeth. 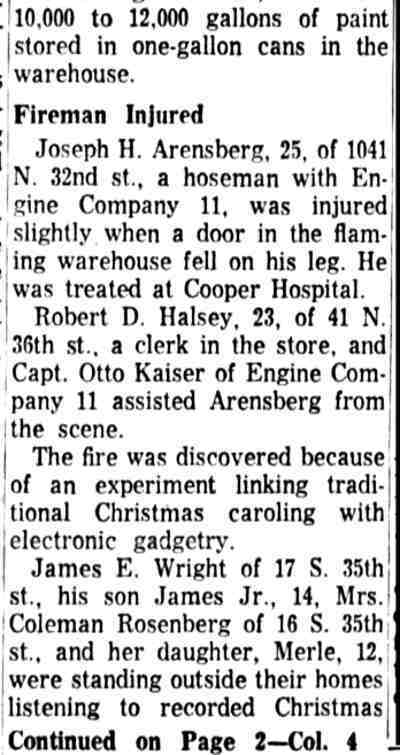 Otto Kaiser was still living at 904 North 26th Street as late as 1947. By that time he was married to his wife, Alberta. 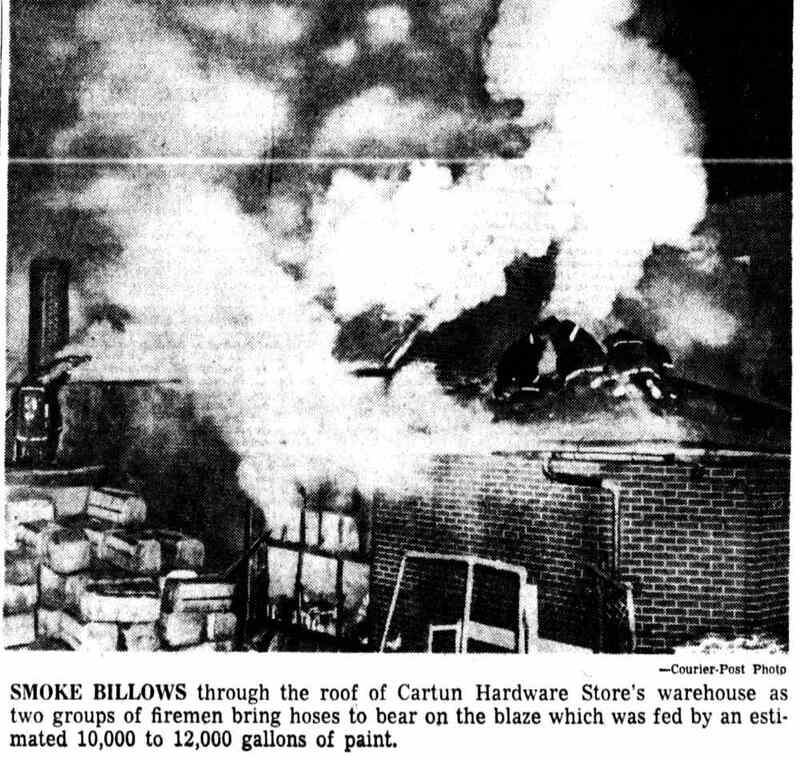 Otto Kaiser later made his home at 917 North 26th Street in Cramer Hill. 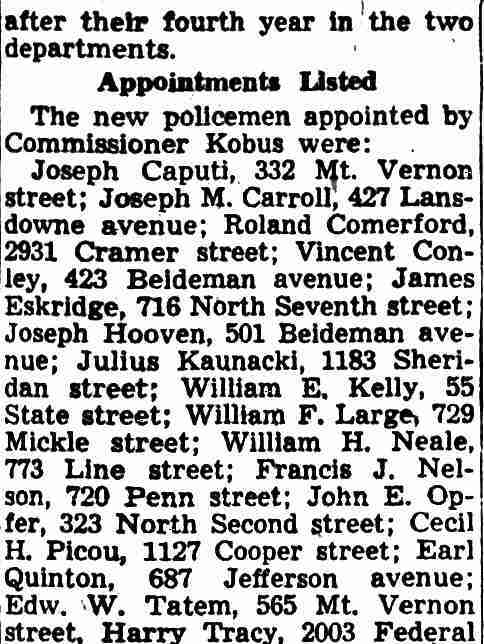 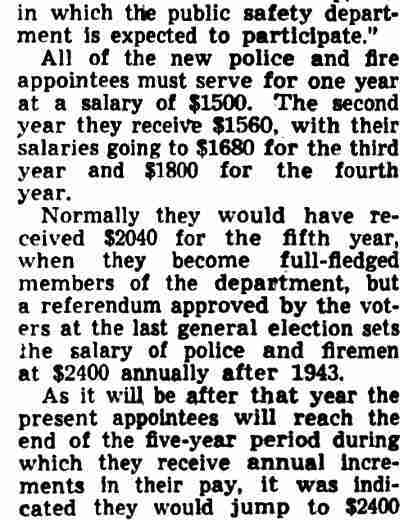 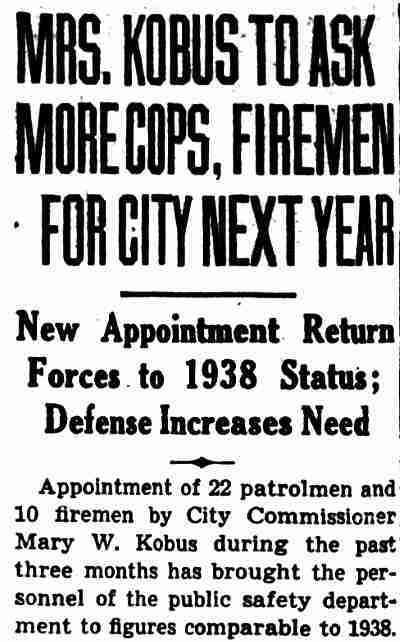 Otto V. Kaiser was appointed to the Camden Fire Department on September 20, 1940. 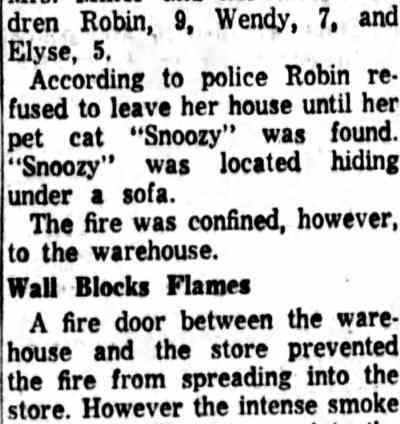 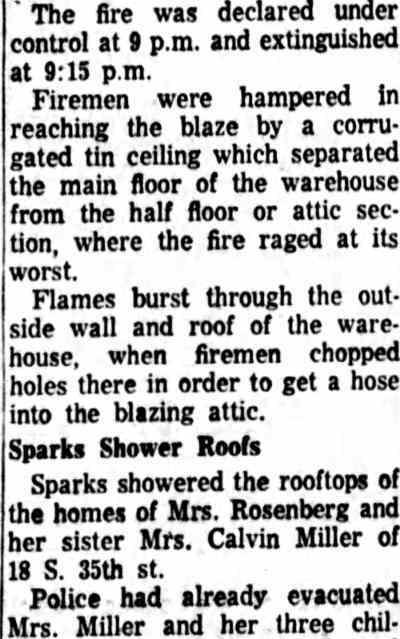 He reported for duty the same day at Ladder Company 1, then based at the old Fire headquarters at North 5th and Arch Streets, where her served until December 31, 1949. 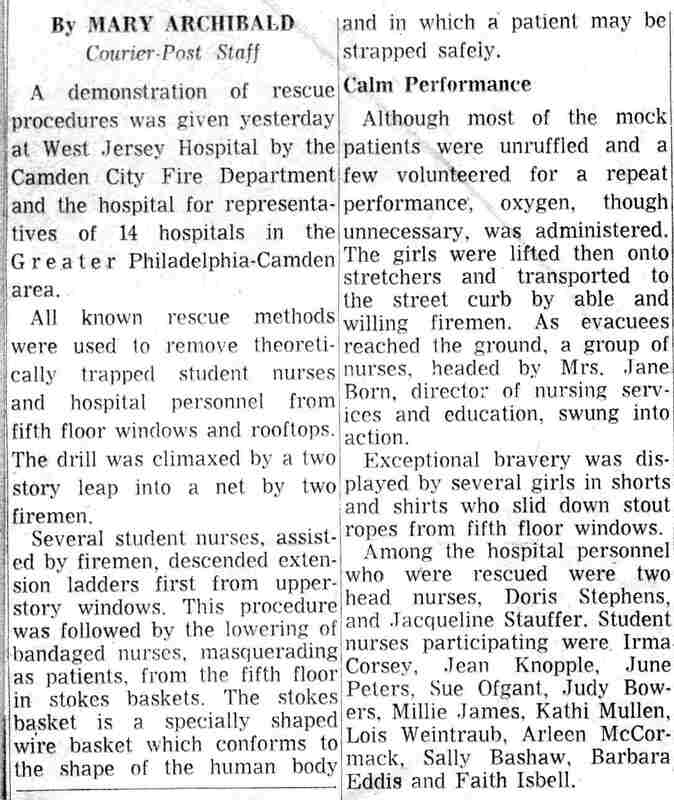 On January 1, 1950 Otto Kaiser was transferred to Engine Company 11 on North 27th Street in Cramer Hill, where he worked until May 18, 1951 when he was sent to Ladder Company 2, 619 Kaighn Avenue in South Camden. 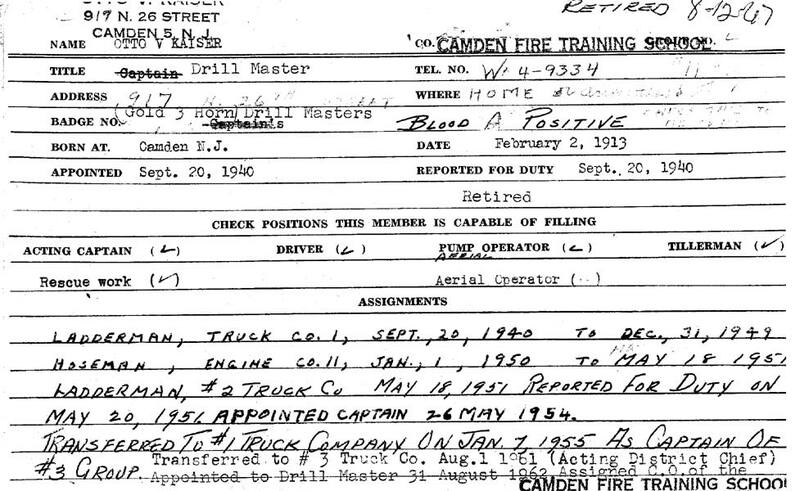 Three years later, on May 26, 1954 Otto Kaiser was promoted to Captain. 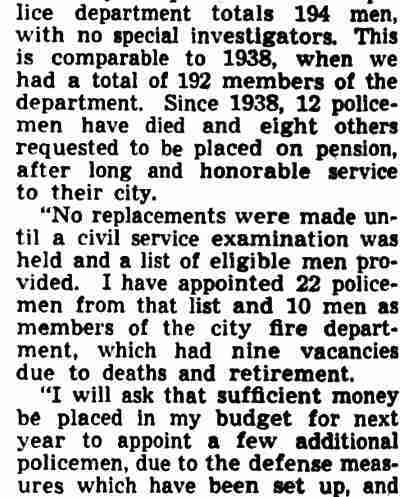 He remained at Ladder Company 2 until January 7, 1955 when he was returned to Ladder Company 1. 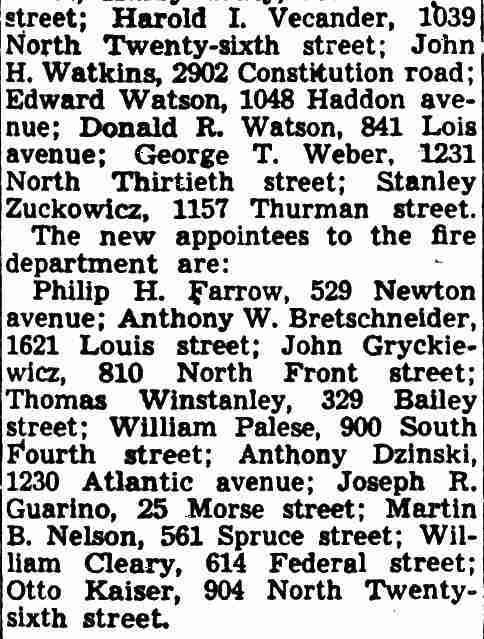 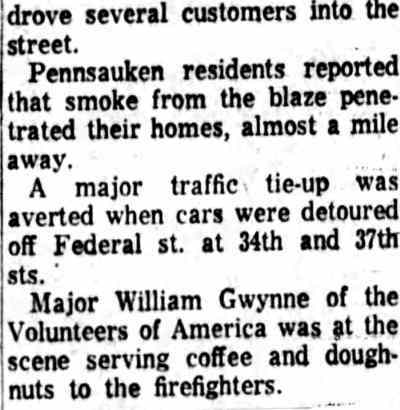 On August 1, 1961 Captain Kaiser was sent to Engine Company 3 at 1815 Broadway where he served at Acting District Chief (duties akin to that of present-day Battalion Chief). 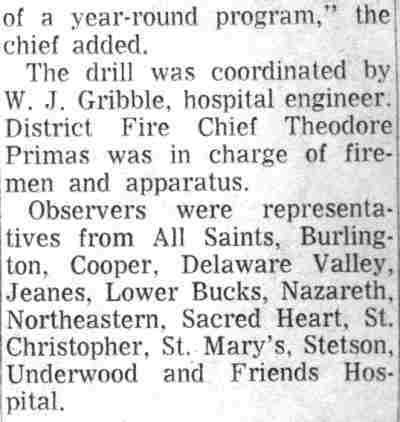 13 months later, on August 31, 1962 Otto V. Kaiser was promoted again, to the post of drillmaster at the Fire Training School, where he worked until his retirement, August 12, 1967. 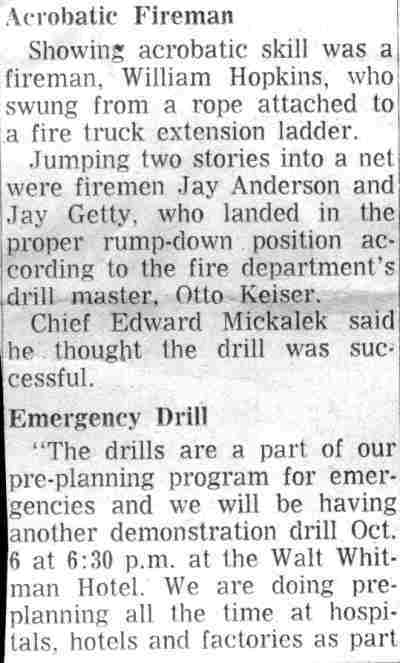 Otto Kaiser passed away in August of 1976. 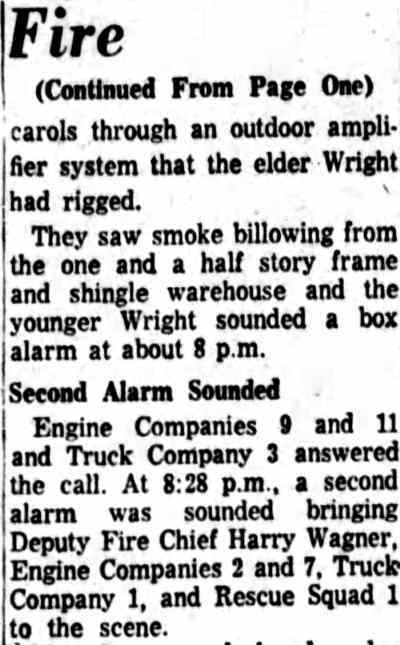 He was then a resident of Wittman, in Talbot County, Maryland. 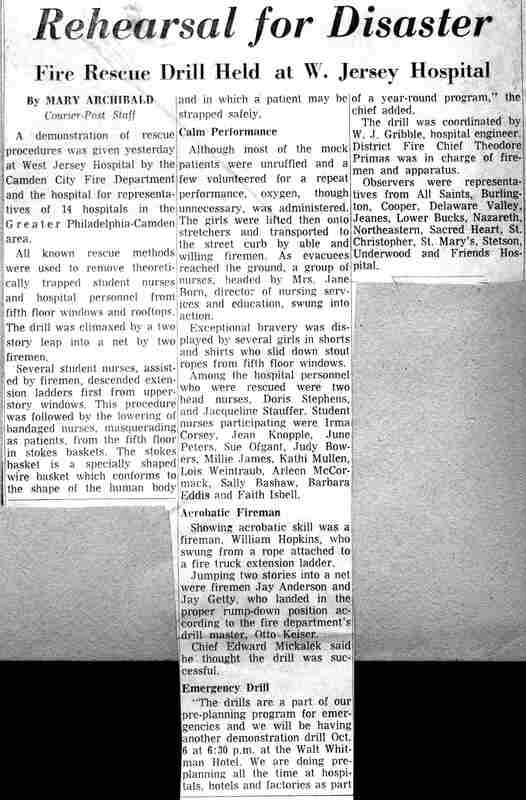 He was survived by his wife, who passed in September of the following year.